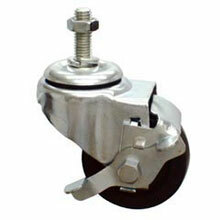 Heavy Duty Plastic Total Lock Casters - (4) 5" Dia. Single Wheel Heavy Gauge Steel Threaded Stem Casters - (4) 3" Dia. Single Wheel Heavy Gauge Steel Threaded Stem Casters - (4) 4" Dia. Single Wheel Heavy Gauge Steel Threaded Stem Casters - (4) 5" Dia. Twin Wheel Nylon Threaded Stem Casters - (4) 3" Dia. 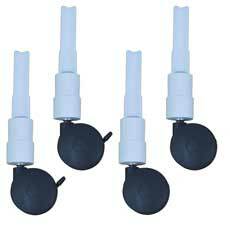 Twin Wheel Nylon Threaded Stem Casters - (4) 4" Dia. 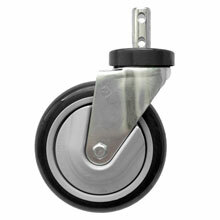 Twin Wheel Nylon Threaded Stem Casters - (4) 5" Dia. Twin Wheel Stem Casters w/ Brake - (4) 3" Dia.